Some time in the 1920s, the Conservative statesman F. E. Smith — Lord Birkenhead — gave a copy of the “Nicomachean Ethics” to his close friend Winston Churchill. He did so saying there were those who thought this was the greatest book of all time. Churchill returned it some weeks later, saying it was all very interesting, but he had already thought most of it out for himself. But it is the very genius of Aristotle — as it is of every great teacher — to make you think he is uncovering your own thought in his. In Churchill’s case, it is also probable that the classical tradition informed more of his upbringing, at home and at school, than he realized. The difficulty was resolved when he came to realize that Churchill was a perfect example of that virtue. So Churchill helped Leo Strauss understand Aristotle! That is perfectly consistent with Aristotle’s telling us it does not matter whether one describes a virtue or someone characterized by that virtue. Where the “Ethics” stands among the greatest of all great books perhaps no one can say. That Aristotle’s text, which explores the basis of the best way of human life, belongs on any list of such books is indisputable. In his great essay “On Classical Political Philosophy,” Strauss emphasizes the continuity between pre-­philosophic political speech and its refinement by classical political philosophy. It is part of the order of nature (and of nature’s God) that pre-­philosophic speech supply the matter, and philosophic speech the form, of perfected political speech, much as the chisel of the sculptor uncovers the form of the statue within the block of marble. Before the “Ethics” men knew that courage was a virtue, and that it meant overcoming fear in the face of danger. Aristotle says nothing different from this, but he also distinguishes true virtue from its specious simulacra. The false appearance of courage may result, for instance, from overconfidence in one’s skill or strength, or from one’s failure to recognize the skill or strength of his opponents. The accurate assessment of one’s own superiority of strength or skill, which means one really has no reason to fear an approaching conflict, is another false appearance of courage. A false courage may also result from a passion that blinds someone to the reality of the danger he faces. In short, the appearance of courage may be mistaken for actual courage whenever the rational component of virtue is lacking. The existence of politics before political philosophy is what makes political philosophy possible. Politics is inherently controversial because human beings are passionately attached to their opinions by interests that have nothing to do with the truth. But because philosophers — properly so called — have no interest other than the truth, they alone can bring to bear the canon of reason that will transform the conflict of opinion that otherwise dominates the political world. Unfortunately, what has been called philosophy for more than a century has virtually destroyed any belief in the possibility of objective truth, and with it the possibility of philosophy. Our chaotic politics reflects this chaos of the mind. No enterprise to replace this chaos with the cosmos of reason could be more welcome. The volume before us is much more than a translation. The translators, Robert C. Bartlett, who teaches Hellenic politics at Boston College, and Susan D. Collins, a political scientist at the University of Houston, have provided helpful aids. Many Greek words cannot be easily translated into single English equivalents — for example, the Greek word techne, which appears in the first sentence of the “Ethics.” It is here translated as “art,” as it usually is. But the Greeks made no distinction, as we do, between the useful arts and the fine arts. The most precise rendering is probably “know-how,” but that does not seem tonally right. The best solution is to use an approximation like “art” and supplement it with notes. This is what the translators have done, in this case and others, with considerable thoroughness. They have also supplied an informative introduction, as well as “A Note on the Translation,” a bibliography and an outline of the work. All this precedes the main text. Afterward comes a brief “Overview of the Moral Virtues and Vices,” a very extensive and invaluable glossary, a list of “Key Greek Terms,” an index of proper names and at last a detailed “general index.” Together these bring the original text within the compass of every intelligent reader. Thomas Aquinas, writing in the 13th century, believed that in the “Ethics” Aristotle had said everything needful for happiness in this life. 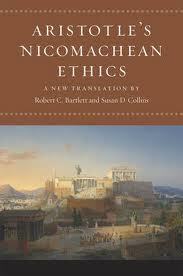 Thus Aquinas did not write his own book on ethics, but instead wrote a commentary on Aristotle. This tradition was extended by the greatest political philosopher of the 20th century, Leo Strauss, who wrote that all his work had no other purpose than to address “the crisis of the West. But what is the West? And what is its crisis? According to Strauss (and many others), the West is the civilization constituted at its core by the coming together of classical philosophy and biblical revelation. 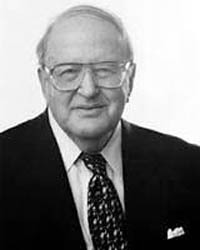 The vitality of Western civilization results from the interplay of these alternative principles, though each contains within itself what claims to be exclusive and irrefutable authority. Symbolic of this authority are Athens and Jerusalem. In “The Second World War,” Churchill remarks that everything valuable in modern life and thought is an inheritance from these ancient cities. The debunking both of Socratic skepticism (“the unexamined life is not worth living”) and of biblical faith (“Fear of the Lord is the beginning of wisdom”) has led to the crisis of the West, a chaos of moral relativism and philosophic nihilism in which every lifestyle, no matter how corrupt or degenerate, can be said to be as good as any other. In their brilliant and highly readable “Interpretive Essay” Bartlett and Collins suggest, without positively asserting, that Aristotle offers a solution to the problem, or crisis, of human well-being. But they seem to doubt whether it can meet the challenge of the God of Abraham. But these two principles are not adversarial in all respects. Indeed, much of Strauss’s work is a radical attack — made with the greatest intellectual competence — against the latter-­day enemies of both the Bible and a Socratic Aristotle. Strauss maintained that Athens and Jerusalem, while disagreeing on the ultimate good, disagree very little, if at all, on what constitutes a morality both good in itself and the pathway to a higher good. Aristotle’s greatness of soul (magnanimity) may seem to resemble pride, the greatest of sins described in the biblical canon. But Thomas Aquinas’s interpretation of the “Ethics” offers proof against theological negativism. And in the “Summa Contra Gentiles,”Thomas made the case for sacred doctrine on the basis of Aristotelian premises. It is an assumption of Aristotle’s philosophy of nature that the highest good of each species is accessible to all, or nearly all, its members. For man the highest good is wisdom. 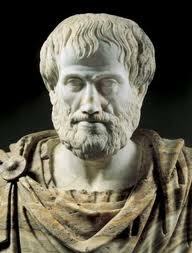 But since few if any human beings attain it, Aristotle’s nature requires a supernatural correlate: the afterlife. Whatever one thinks of this argument, it points to a dialectical friendship between Athens and Jerusalem. All the more reason for them to join forces in the desperate struggle, still going on, between civilization and barbarism. A version of this review appeared in print on July 3, 2011, on page BR16 of the Sunday Book Review with the headline: Faith and Reason. Posted in History, Poetry, Politics. 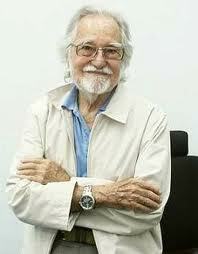 Let us listen to the political humour of Hishamuddin Rais. 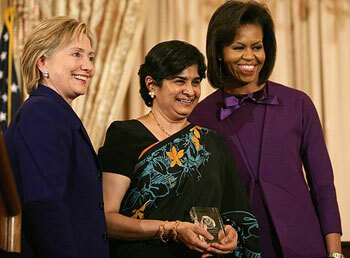 This is followed by a serious message from Dato’ Ambiga Sreenevasan. Dato’ Ambiga explains the mission of BERSIH2.0 and also why the show must go on, despite recent actions by our government. In the same breadth, both Hishamuddin and Dato Ambiga answer Dr. Chandra Muzaffar. Article 10 is a key provision of Part II of the Constitution, and has been regarded as “of paramount importance” by the judicial community in Malaysia. 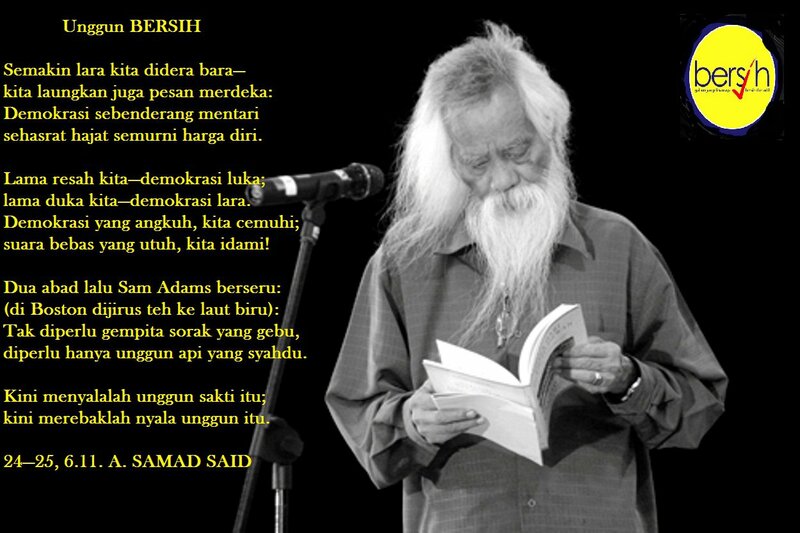 Finally, I am posting a picture of Dato’ A Samad Said with his controversial poem Unggun Bersih. Dato’ Samad (born in 1935) is a Malaysian intellectual of my generation and our internationally respect poet and novelist who, in May 1976, was named by Malay literature communities and many of the country’s linguists as the Pejuang Sastera [Literary Exponent] receiving, within the following decade, the 1976 Southeast Asia Write Award and, in 1986, in appreciation of his continuous writings and contributions to the nation’s literary heritage, or Kesusasteraan Melayu, the title Sasterawan Negara. Posted in civil society issues, Democracy, Human Rights, Poetry, Politics, Public Relations. ROYAL Professor Ungku Abdul Aziz Ungku Abdul Hamid is one of the greatest minds the country has ever known. 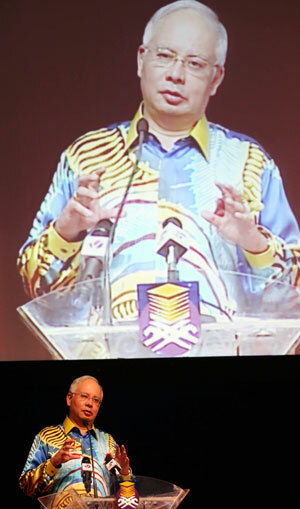 He is also a man of many achievements, to name one, he is the first recipient of the Merdeka Award in the education and community category in 2008. His interest in all things literary is legendary. He was obsessed with the Japanese haiku at one point and his latest love is the Malay pantun. Pantun undeniably is the most popular vehicle for the expression of poetic feeling among the Malays. Pak Ungku painstakingly assembled, documented and studied some 16,000 of them over the years. He selected 78 to be included in an interesting lecture organised by the Dewan Bahasa dan Pustaka (DBP) and the Malaysian Linguistic Association in 2007 as part of the Raja Ali Haji Lecture series. I am honoured to have been given the opportunity to write the preface for the book Pantun dan Kebijaksanaan Akal Budi Melayu (Pantun and the Wisdom of the Malay Mind) based on the lecture published by DBP. It was a labour of love for me knowing the man behind the book. It is not often we find someone of his stature to give such serious attention to a Malay poetical form. It is normally the domain of literary scholars and researchers. Ungku Aziz certainly brings a new dimension to literary studies — looking at pantun from various disciplines — from economics to psychological references — areas very few would dare tread. So his “reading” of the Malay pantun would certainly be different from others. But Ungku Aziz is a contrarian among economic thinkers who believe that there is a relationship between the economic capabilities of the Malays and their value system, worldview and psyche. When he started studying poverty among the Malays, he realised how culture, ways of life, dietary habits and government policies were an insurmountable hindrance to their progress. It was not a pleasant thing to say at the time but Ungku Aziz shared the same view as another monumental thinker among the Malays, Zainal Abidin Ahmad or Za’ba, who was uncharacteristically audacious in criticising some of the “Malay ways”. It was, therefore, unsurprising that Ungku Aziz wrote a glowing tribute to Zainal Abidin’s views in the book Jejak-jejak di Pantai Zaman published in 1975. Pantun is simple in its form but complex in its texture and nuances. It is easily adaptable and allows for improvisation. The pantun contains beautiful imagery and the delicacy of thoughts. That is part of the reason why it survives the test of time. Even today, you hear pantun being read at wedding ceremonies and official functions, not to mention on the airwaves at the slightest provocation. The pantun was created anonymously just like many of the works that constitute the Malay oral tradition. It is interesting to note that the pantun was born out of the largely uneducated Malay populace of old. Life was hard and survival was the rule. Far from the blooming of other literary brilliance and theatrical sophistication nurtured by the istana (court), lesser mortals had to contend with folk literature of their own, from cerita rakyat (folk tales) to verses like pantun, gurindam (a two-line verse) and peribahasa (proverbs). Literary works became part of the socialisation process. Before radio and TV, people lived with tukang cerita (story-tellers) and penglipur lara (literally, soother of woes) of all kinds. Even nenek (grandmothers) were involved in telling exemplary moral stories to be emulated as well as fables, myths, legends and ghost stories. Literary works entertain and are used as tools to educate. They reaffirm social norms and community compliance. But creativity is their mainstay. Posted in Communications, Culture and Music, Literature, Philosophy, Poetry. It has been quite some time that I have posted a poem on this blog. Tonight, I feel the need to indulge in a beautiful poem. 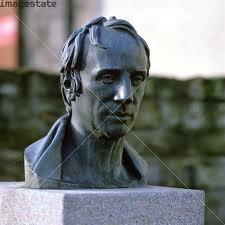 For this purpose, I have chosen John Keats’ Ode on a Grecian Urn. In this Ode, I think, Keats wants to create for us a world of pure joy, but here the idealized or fantasy world is the life of the people on the urn. 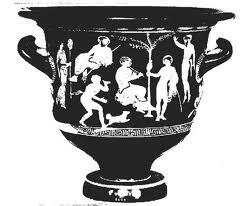 Keats sees them, simultaneously, as carved figures on the marble vase and live people in ancient Greece. Existing in a frozen or suspended time, they cannot move or change, nor can their feelings change, yet the unknown sculptor has succeeded in creating a sense of living passion and turbulent action. The real world of pain thus contrasts with the fantasy world of joy. Ye know of earth, and all ye need to know. “The final stanza contains the beauty-truth equation, the most controversial line in all the criticism of Keats’ poetry. No critic’s interpretation of the line satisfies any other critic, however, and no doubt they will continue to wrestle with the equation as long as the poem is read. In the stanza, Keats also makes two main comments on his urn. The urn teases him out of thought, as does eternity; that is, the problem of the effect of a work of art on time and life, or simply of what art does, is a perplexing one, as is the effort to grapple with the concept of eternity. Art’s (imagined) arrest of time is a form of eternity and, probably, is what brought the word eternity into the poem. The second thought is the truth-beauty equation. 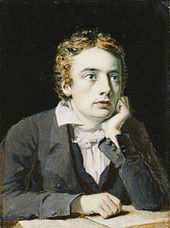 Through the poet’s imagination, the urn has been able to preserve a temporary and happy condition in permanence, but it cannot do the same for Keats or his generation; old age will waste them and bring them woe. Yet the pictured urn can do something for them and for succeeding generations as long as it will last. It will bring them through its pictured beauty a vision of happiness (truth) of a kind available in eternity, in the hereafter, just as it has brought Keats a vision of happiness by means of sharing its existence empathically and bringing its scenes to emotional life through his imagination. All you know on earth and all you need to know in regard to beautiful works of art, whether urns or poems about urns, is that they give an inkling of the unchanging happiness to be realized in the hereafter. When Keats says “that is all ye know on earth,” he is postulating an existence beyond earth. The last two stanzas of Alfred Lord Tennyson’s Ulysses are inspiring for all of us who must face the challenges of living in a much confused Malaysia. We seem to be without direction, drifting in a sea of acronyms (ETP, NKRA, NEM) and slogans like 1Malaysia: Rakyat Didahulukan, Pencapaian DiUtamakan, Malaysia Boleh and Wawasan 2020. Promises, Promises, Projects, Projects (4Ps), if I may add. 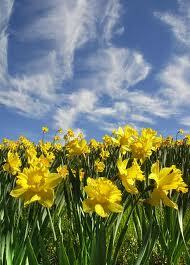 So let us be inspired by Ulysses and verses from Lord Tennyson’s poem of the same name.